Radio network growth looked grim once the digital age started becoming more relevant in today’s society. However, radio’s impact has reached an audience beyond expectations. The world of radio is alive and is flourishing better than ever. With thousands of stations broadcasting via online and radio stations, radio’s reach has connected to every audience – including the finicky Millennials. According to Steve Doctrow, of Rogers & Cowan, the number of Millennials tuning into radio are actually surpassing the Boomers. This marks an essential period for businesses and companies to develop strong consumer relations with their younger audience via these radio stations. 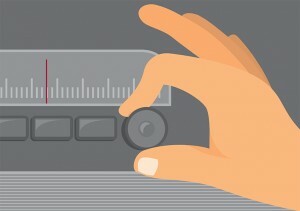 The idea of network radio reaching a targeted market audience has far surpassed expectations. Two of the most populated cities, New York and Los Angeles, are prime targets to establish business relationships with. However, advertisers and marketers are connecting with consumers in less populated areas as well – cities with less than 650,000 residents. Generally, radio tends to reach a rather wide audience of Americans with over 50 million listeners, aged 18 to 34, listening to radio advertisements on a weekly basis. On the other hand, over 40 million Boomers have tuned in to at least one radio advertisement per week – which isn’t a demoralizing number to say the least. Network radio has mobilized active participants by including them in a uniquely engaging business proposal. After all, with millions of listeners tuning in on a daily basis, the potential for a spring in sales remains high. These staggering numbers are continuously being incorporated into marketing plans to attract a dedicated audience and offer them their services in a creative way that fits their general interests.